If wine is of interest past the simple enjoyment of the odd glass here or there, you may have heard of them being referred to as either “Old World” or “New World” wines. I thought I would investigate a little more, too. When wines are classed as old world, generally, we are talking about wines that originate from countries where wines have been produced for almost a millennium or more. These include France, Italy, Spain, Germany, Portugal, Austria, Croatia, Greece, Israel, Lebanon, Romania and other European and Middle East countries. Whilst “New world” includes countries such as South Africa, Argentina, Chile, Australia and New Zealand. 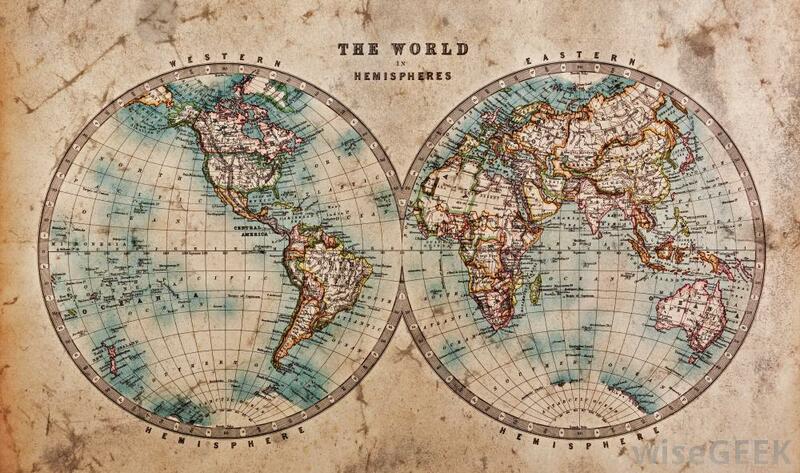 So what makes them “Old World” apart from the geographic differentiation between the two worlds? In most of these countries (“Old World”), winemaking is restricted by guidelines that winemakers must follow. Given these countries and regions have been producing very specific wines for centuries upon centuries, the regions keep producing wines to standards that are long held, and revered. Many “Old World” wines are named after their region or appellation, such as Bordeaux, Chianti or Alsace, rather than the grapes that the wine is made from, such as Cabernet, Sangiovese or Pinot Gris. In terms of the wines’ characteristics, generally, and that’s a BIG generally, old world wines can be more restrained, lighter and lower in alcohol when compared to new world wines. White wines will be softer, have less oak, be more subtle and well balanced. “Old World” reds might seem to lack the power of new world reds, with less fruit and less alcohol driving the palate. So what of the brave “New World” wines? If the old world is where they have been producing wines for millennia if we think of the countries that were colonised say after the 1,700’s you get a fair idea of what we are talking about. Given the geography of these “New World” countries, the resulting climates can be hotter and sometimes much drier than the climates of the “Old World”. Without century upon century of tradition and no guidelines to follow, winemakers also have more room to express their skills and creativity in the “New World”. When added to the differences in climate or terroir, “New World” wines can be fuller in the body, be driven by fruit and are higher in alcohol. Here in Australia, we still use the templates of “Old World” wines. We use the grape varietal to define the wine, but our winemakers have the opportunity to exercise their control on the wine and guide the taste of the wine. At St Maur, we think there’s value in both the old and new world approach. We try to exercise minimum intervention and believe that balance and nuance are just as important as ripe fruit and alcohol. The proof of the pudding is in the eating they say. Whether it’s our Pinot Noir, Cabernet, Merlot Pinot Gris, Chardonnay or Rose, we trust that you will taste the best of the old and new world in our wines.